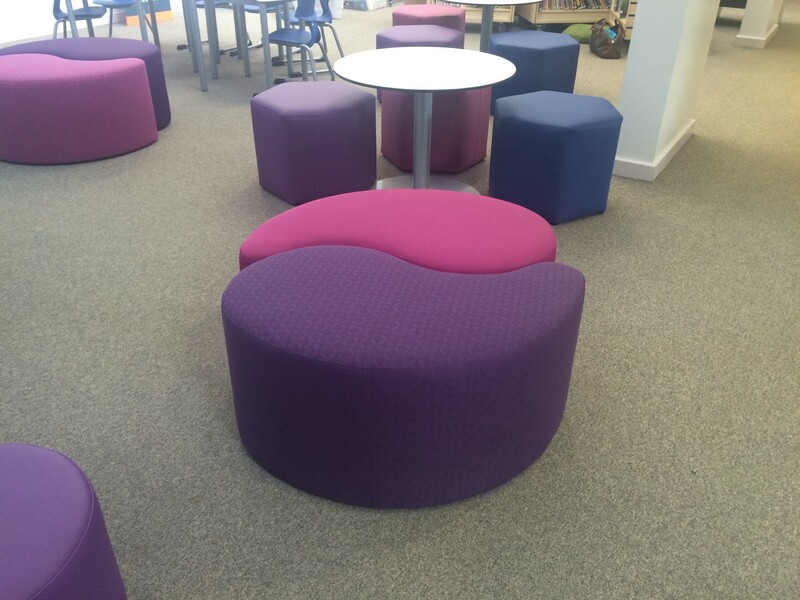 Duston Eldean Primary School asked zioxi to help them redesign an open plan learning space within their large LRC. 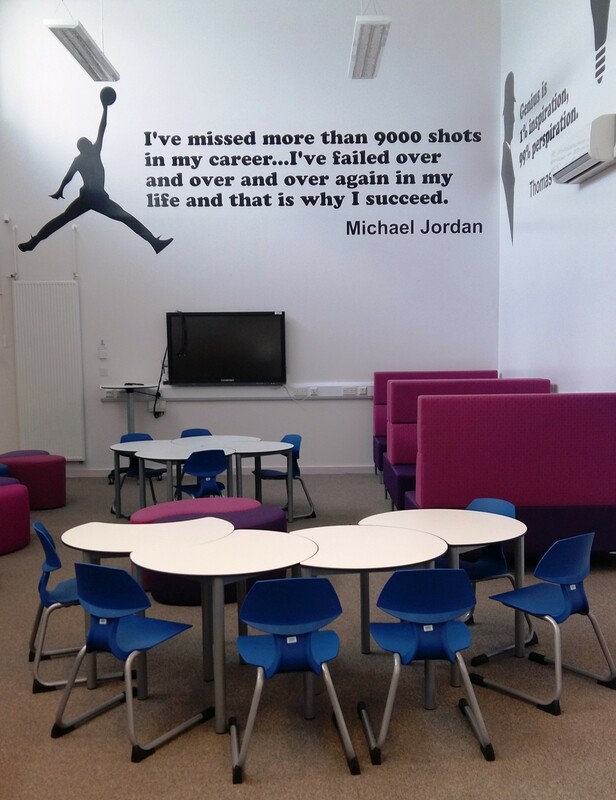 The brief for the space was to create an area which was flexible and included lots of different types of furniture. 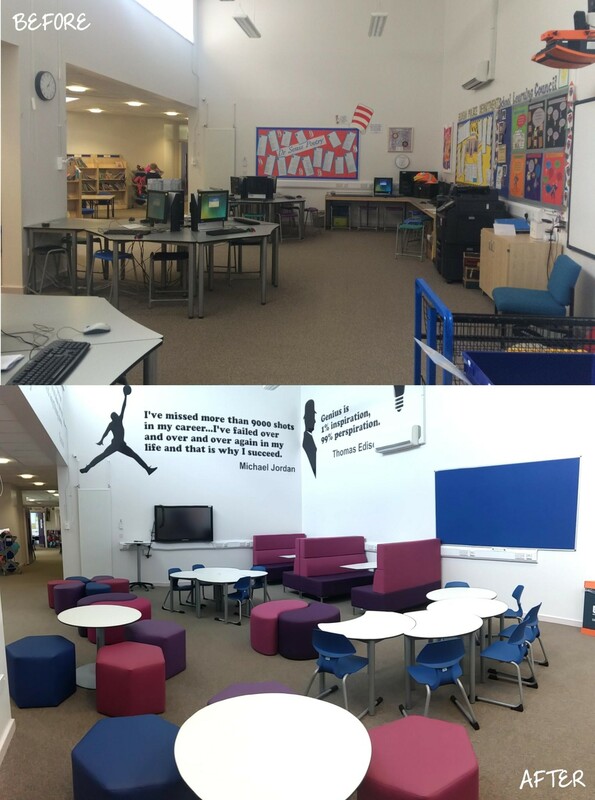 The school was very keen to let the children choose how and where they would like to work when they were using the LRC space. 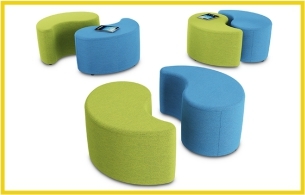 To accommodate the brief, zioxi designed the space to include a variety of upholstered soft seating including S42 Ying Yang, S41 Hex Stools and Petal stools. Medium back Booth Seats against the wall provided an ideal place for working in small groups with easy access to power for any charging requirements. 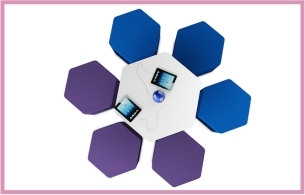 Geometric Lunar desks were added to the space to provide areas for more formal group working. 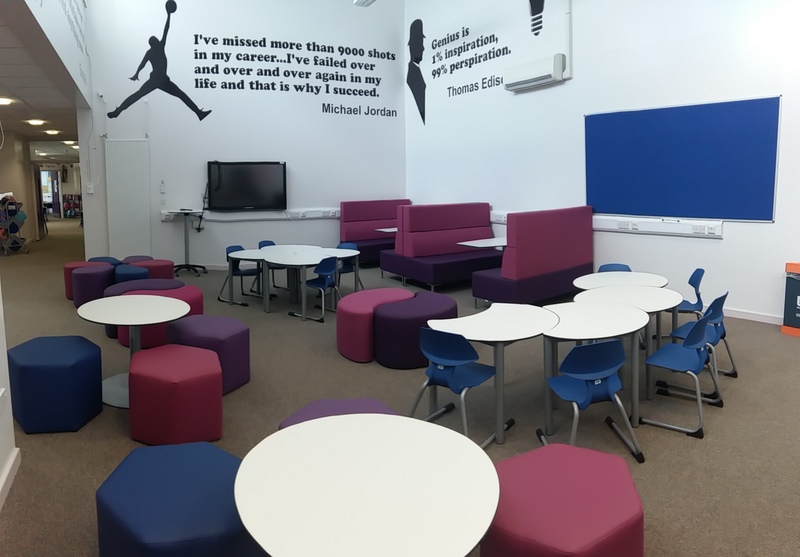 All of the furniture was designed to be easily moved around by the students to allow the space to be reconfigured as and when it is needed to.